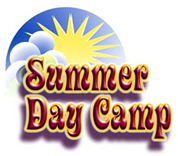 Your child will enjoy a fun-filled summer while experiencing the excitement and joy of having SUMMER CAMP FUN! Sign up for swim lessons, select camps, a part-time schedule, or for the whole summer! We also offer academic tutoring. This balanced program is specifically designed for children entering El Rancho School’s kindergarten in the fall. The children will spend their morning having the same pre-k instruction and playtime, and enjoy camp activities in the afternoon 1-3 PM. Snacks will continue to be free of charge. Preschool rates apply. Campers entering 1st grade in the fall will have two hours of language arts and mathematics instruction daily (6/25-8/10). This will be followed by activities tied to the themes of the camps. The first and last camps do not have an academic component. A blend of light academics and high-interest recreation program has been designed for campers entering 2nd – 6th grades. This includes hands-on activities related to the themes, fun field trips and weekly trips to the movie theater. *Parent permission is required to attend all off-campus activities. Let’s play volleyball, basketball, soccer and track and field! These two weeks are dedicated to teaching fundamental skills and enjoying the sports. Each child will have the opportunity to participate in skill-developing clinics and scrimmages with age-appropriate teams. On some afternoons, students may choose active or relaxed activities (movies about sports heroes, unstructured play, etc.). *FIELD TRIPS: The “Eagles” will go bowling at Country Club Lanes and go skating at Foothill Skate. The campers will learn about national heroes, leaders, monuments, symbols, our 50 states, and paint patriotic shirts. Sign up to ride on the El Rancho float in Carmichael Elk’s Lodge Annual 4th of July parade that travels down Fair Oaks Blvd. ACTIVITY: All campers will walk to Atria Senior Center to sing patriotic songs on 6/28. *FIELD TRIPS: The “Eagles” will learn about the history of Sacramento while visiting Sutter’s Fort. School closed 7/4 & 7/5. Students will explore the world of biology, electricity, space, animals, simple machines, and more during this two week applied science camp. They will participate in hands-on activities and experiments, and work with microscopes. *FIELD TRIPS: During this camp the “Eagles” will go to the Aerospace Museum @ McClellan the first week, and the next week the Wow! Museum. Week #1 is Fine Art: Learn how to draw animals, people, and more during this exciting camp. Art campers will be discussing and comparing artists, using a wide variety of media and playing art games. *FIELD TRIP: “Eagles” will go to the Crocker Art Museum. Week #2 is Creative Crafts: Campers will “make and take” craft projects. *FIELD TRIP: The “Eagles” will paint and fire ceramic items at Alpha Fired Arts this week. Back by popular demand! Enjoy the last two weeks of your summer vacation with a SPLASH! The children will enjoy relay races in the pool, student-made boat races, water balloon games, making and playing with bubbles, and some surprise activities. We will open our pool for “free swim” an hour each day during this camp! School open 6:30 AM – Noon on 8/16.